The Alberta Wheat Commission and Alberta Barley have published GrainsWest four times per year since January, 2014. Though this agricultural trade magazine serves a readership of approximately 20,000 Alberta grain farmers, for the last five years, its summer issue has been distributed in urban centres as well as being mailed to many of the province’s farms. This annual consumer issue has focused on topics of interest to farmers and agri-food industry professionals as well as city folk. Our 2018 consumer issue features a cover story on the welcome return of bread to food-trend favour. 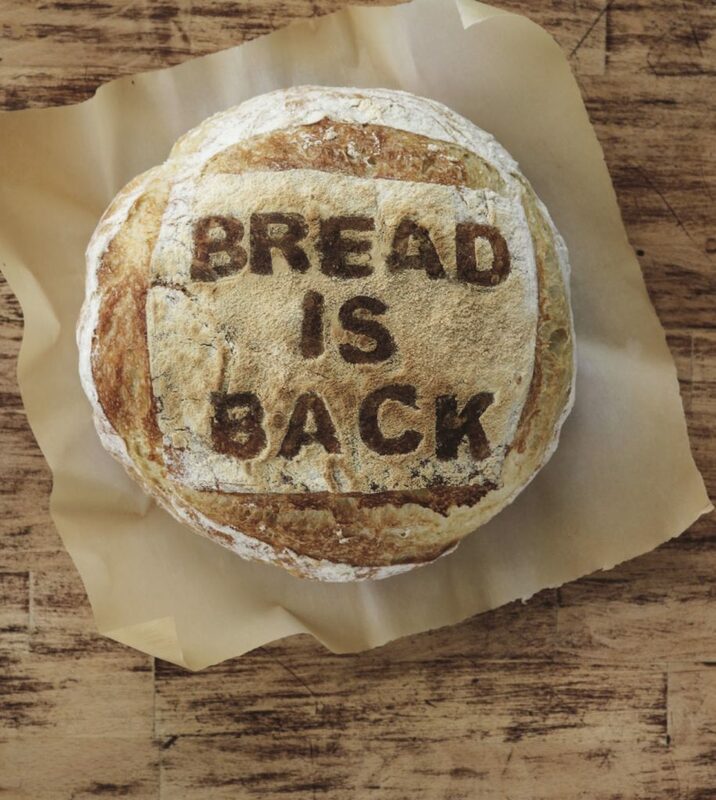 Adorned with typography baked and photographed by Julie Van Rosendaal, the story by editor Ian Doig examines the rise of sourdough and whole-grain bread that’s being driven by the greater healthy-eating trend.